A beautifully designed public bench manufactured using sustainably sourced solid teak, this bench features a graceful high back with wide, flat armrests that are ideal for resting your snacks and drinks on during long afternoons spent in the garden. 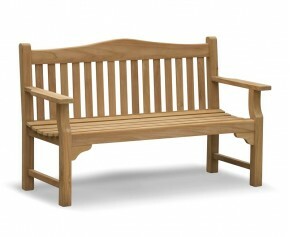 Create a wonderful spot in your garden to sit back and relax with the teak Rose garden bench. Featuring elegant, sweeping curves and an ergonomic design, this sturdy and practical bench has a cupped seat and arched backrest to provide ample comfort. 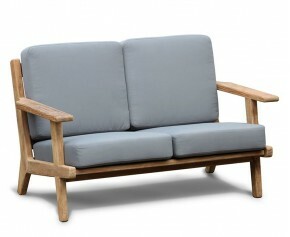 This robust deep seated teak garden sofa has substantial dimensions and luxuriously thick cushions for superior comfort. Constructed using mortise and tenon joints and designed with modern minimalism cues, this 2 seater deep seated garden sofa is sure to enhance your outdoor space. 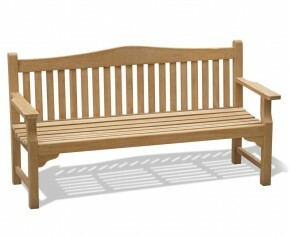 For the ultimate in both comfort and style, choose from our Teak Patio Benches. With their tasteful and classic design, our range of public seating benches are guaranteed to look stunning in any setting. Featuring flat arms for comfort, these teak patio benches are built to last and are extremely durable. Made from the finest grade-A teak, our public seating benches are of the highest quality and can withstand the test of weather and time. From 2 seaters to 4 seaters, our teak patio benches come in a variety of sizes so you are sure to find one to fit comfortably in your space. 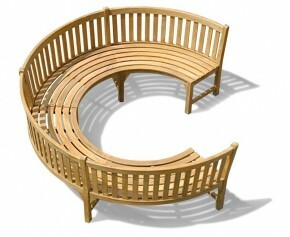 Our public seating benches also come in a variety of styles, from Tribute to Taverners. 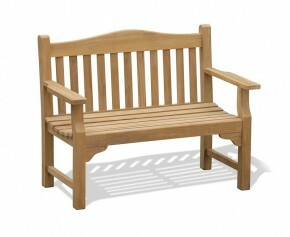 View our selection of teak patio benches below.